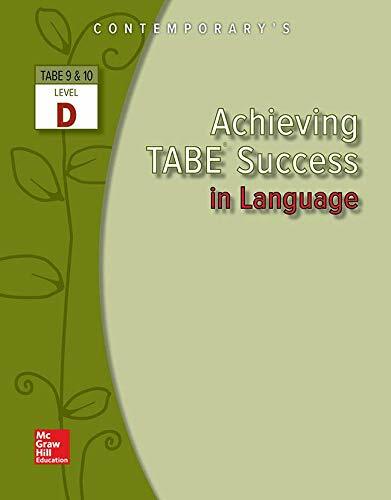 The Achieving TABE Success family is designed to provide complete skill preparation and practice for TABE 9&10, encompassing Reading, Mathematics and Language, for levels E, M, D and A. This series of books will help students achieve NRA gain through targeted instruction that specifically addresses TABE 9&10 skills. If you have any questions about this product by Brand: MCGRAW-HILL COMPANIES, contact us by completing and submitting the form below. If you are looking for a specif part number, please include it with your message.